Sudbury Design Group has the competitive spirit and is cheering on the New England Patriots from their office rooftop. 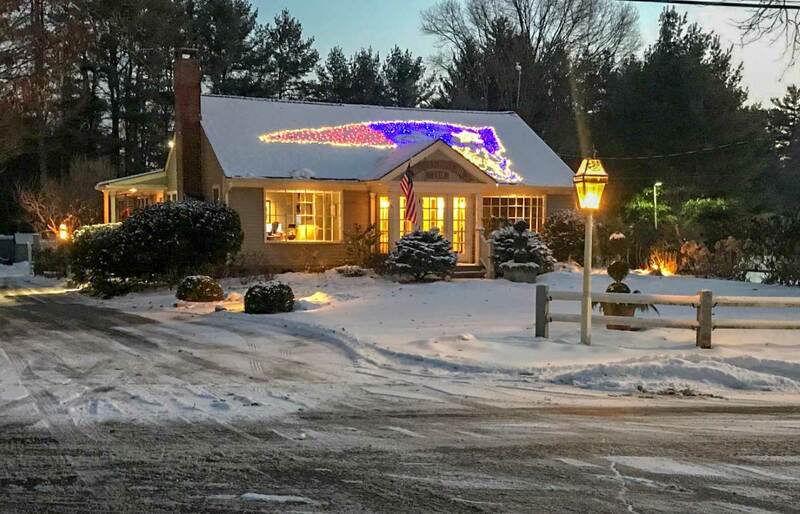 SDG’s Matt Sullivan reported that the landscape architecture firm scaled the Pats' logo from a drawing, blew it up and then filled it in with glowing red, blue and white Christmas lights. Though they generally deal with turf, raising the roof isn’t as big a leap as one might think. Sudbury Design Group has an Estate Care arm, and often decks out houses in holiday lights and seasonal décor, says Sullivan. Given that owner Michael Coutu’s bright idea has captured media attention—helicopters were doing flybys last night—his firm may be onto something.